Thomas (Tom) Deinek’s 17 year tenure at the Detroit Police Department has made him extremely qualified to get the maximum available outcome in all police misconduct matters including false arrest, wrongful death, and a variety of other personal injury cases. Tom’s expertise in criminal law has been enhanced by ten (10) years of apprehending criminal offenders and twenty years as a phenomenal criminal defense attorney. Tom’s meticulous attention to every detail was developed by his assignment at four different precincts with the Detroit Police Department. His association with people from the criminal element, courts, clients and law enforcement has greatly enhanced his litigation skills. Tom became an attorney while on the police department and was assigned to the Detroit Law Department where he had a full trial case load equivalent to the other attorneys. For the next 7 years he had an average of 60 to 70 of some of the most complex lawsuits filed against police officers in the state. He managed all those cases with tens of thousands of documents, thousands of witnesses, a mountain of evidence, hundreds of motions and dozens of trials. There are very few law firms in the country where attorneys get such a consistent volume of trial experience in the state and federal courts. Tom knows where all the documents are hidden by the attorneys defending the police and the prosecutors in criminal cases because he spent a decade in their position using similar tactics to prevent plaintiffs’ attorneys from obtaining them. Tom has developed an extensive background on both sides of the legal fence. He has arrested, interviewed and interrogated people for a wide variety of criminal acts. He has also testified against them in criminal cases. Tom has represented people accused of crimes and prepared them to testify in their own defense. He has defended hundreds of police officers accused of police misconduct in State and Federal Court and filed lawsuits against officers for police misconduct. Tom gained extensive experience preparing and investigating countless auto accidents as a uniformed patrol officer, which makes him uniquely qualified to get maximum benefits for LawFix clients involved in auto accidents. He does not simply see what is on the accident report, he understands the dynamics of conducting an accident investigation at the scene. 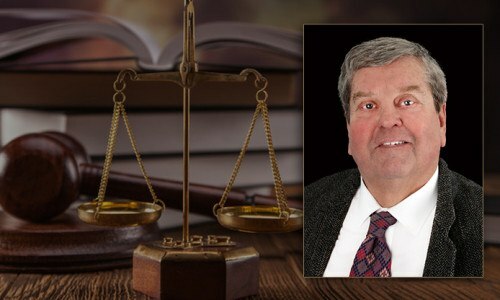 Tom is licensed to practice in all levels of the Michigan State courts, Federal District Courts, and the U.S. Appeals Court.